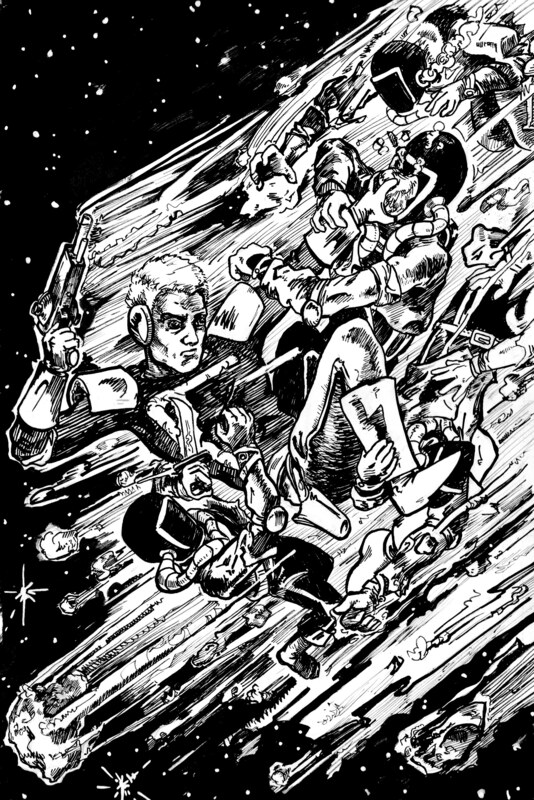 SQUALLIS COMIC COVER SNEAK PREVIEW! COMING THIS SUMMER TO A LIBRARY NEAR YOU! FUN FACT : Flossie was orginally the name of Bessie, the Borden Dairy cow- you know, the one on Elmer’s Glue. 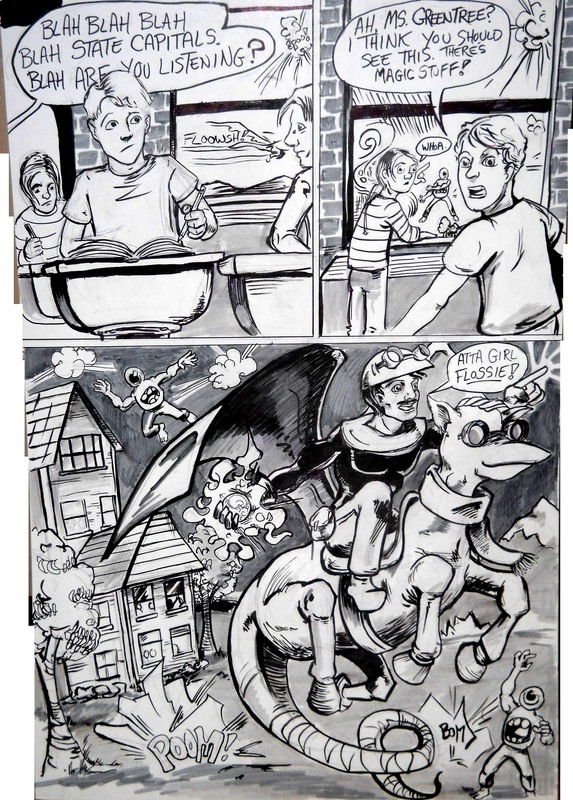 This completely contextless comic page was drawn in about two hours for a comic demo at Preston Arts Center and measures about 20″by 30″. 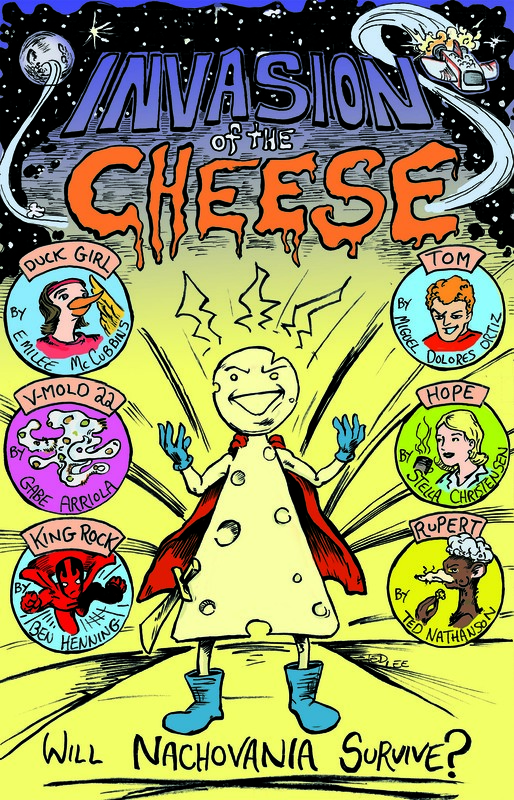 Multimedia sensory tip: Ms. Greentree sounds like the adults in Peanuts cartoons,the kid sounds like me when I hold my nose and talk, the hero sounds like Errol Flynn, and Flossie sounds like a snork, but way, way cooler. So it’s the sixth season of LOST and yeah, I’m really into it. So are my friends. 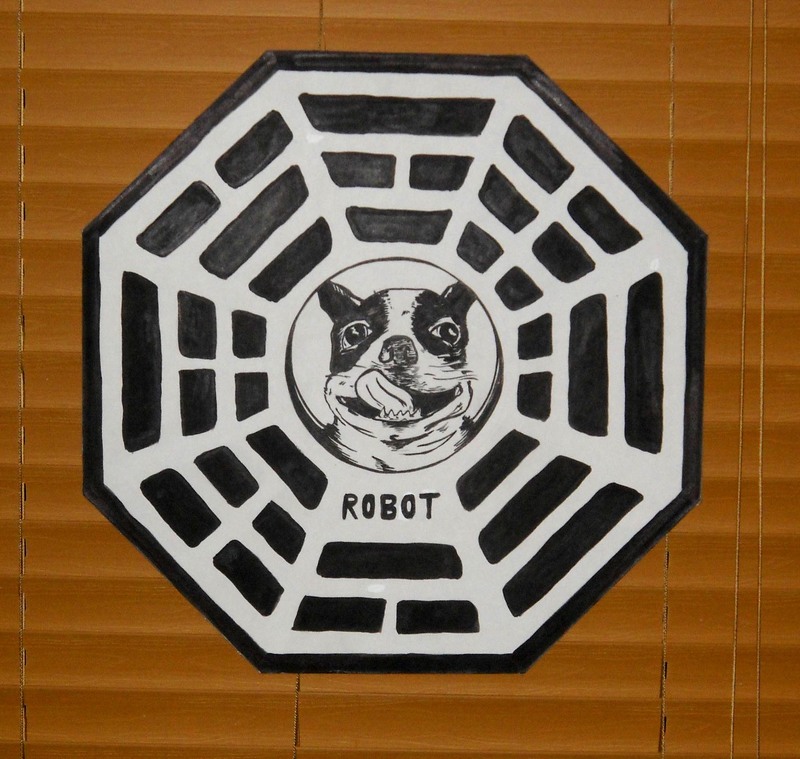 I made this to inaugurate a new season of LOST watchin’ with my friends Dorothy and Nathan and their dog, Robotface. If this makes no sense to you, then buddy, you are missin’ out and I can’t help you til you learn to help yourself. NEWS! ART SHOW AND L.C.S. INFO! The above drawing is now Hanging up at Sunergos Coffee on Preston with a bunch of others like it! Month Of March! 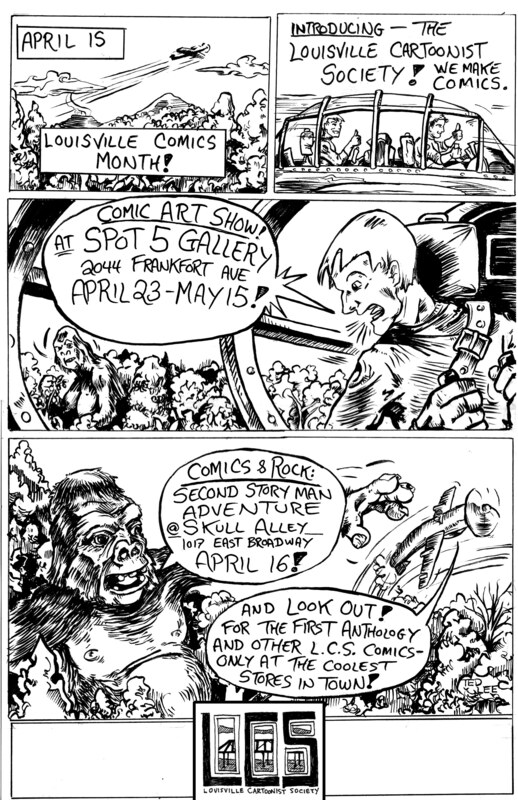 Meanwhile-APRIL IS LOUISVILLE COMICS MONTH!